Wash and finely chop spinach, amaranth and Green sorrel. Soak peanuts and channa dal for 30 minutes. 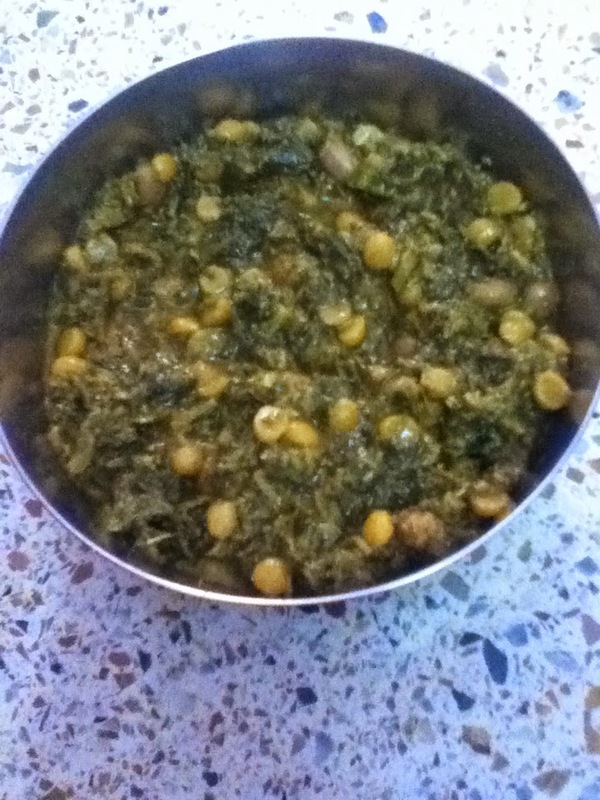 Put chopped vegetables, green chillies, peanuts, channa dal and milk in vessel. Add little water and cook until leaves are soft and nuts are tender. Slightly mash the leaves but keep the nuts intact. Add grated coconut, salt, turmeric and chilli powder. Cook another 5-7 minutes or till the curry is little thick. Heat oil in pan, add all talimpu ingredients, allow the mustard crackles.